Ingredients: Pea protein, pea starch, water, olive oil, potato starch, sea salt, seaweed powder, organic agave nectar, organic apple cider vinegar, black pepper, konjac powder, ginger. Non GMO. Made in a facility that also uses tree nuts. Have not been lucky enough to find this..& sad to see the low rating. What are other good brands to try? Whole foods has it in the tuna section! 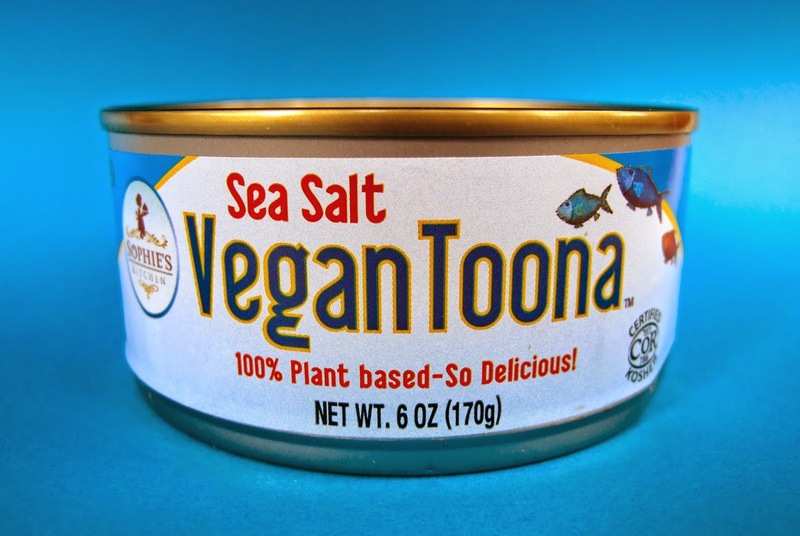 From the reviews I’ve read, Sophie’s gets the lowest ratings of any vegan tuna, yet it’s the only one I can find at any of the stores in Houston. Caroline’s Vegetarian Tuna gets higher ratings. I tried Sophie’s and it did not remind me of tuna at all. I didn’t care for it but I know others who did enjoy it so I encourage you to give it a try. I recommend my mock tuna recipe. It’s healthier and delicious! I will check it out & would like to know your recipe as well! Thank you. You can find it under the Menu (top right) under Kirschner’s Kitchen.